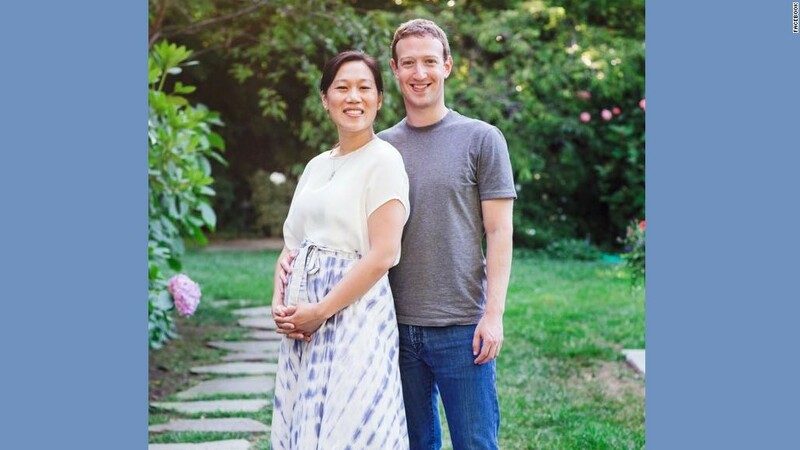 Facebook founder and CEO Mark Zuckerberg and his wife are expecting a baby girl. Zuckerberg announced the news on his Facebook (FB) page on Friday afternoon, tagging his wife Priscilla Chan in the post. He said the couple had been trying for a few years, and had already suffered three miscarriages. "You feel so hopeful when you learn you're going to have a child," Zuckerberg said. "You start imagining who they'll become and dreaming of hopes for their future. You start making plans, and then they're gone. It's a lonely experience." He did not say when the baby would be born. "Our good news is that our pregnancy is now far enough along that the risk of loss is very low and we are very hopeful," said Zuckerberg. Zuckerberg married Chan in 2012. "Cilla" recently finished her medical residency this summer. They posed with their dog Beast in a photo that accompanied the announcement. "Cilla and our child are both healthy, I'm extremely excited to meet her, and our dog Beast has no idea what's coming." Zuckerberg said. " In our ultrasound, she even gave me a thumbs up 'like' with her hand, so I'm already convinced she takes after me." The post generated over 200,000 likes of its own within a half hour, as well as 18,000 comments congratulating the Zuckerberg clan on the news. Many people thanked the couple for being open about their experience of trying to conceive. They also shared many personal and hopeful anecdotes about the difficulties of pregnancy.